Emma Stewart, Ph.D., is Head of Sustainability Solutions at Autodesk, where she leads the design software company’s efforts to make sustainable design easy, insightful, and cost-effective for its millions of engineering and design customers. Emma also teaches on “intrapreneurship for sustainability” at UC Berkeley’s Haas School of Business. She is an advisor to the Sustainability Accounting Standards Board and World Resources Institute’s “Mind the Science, Mind the Gap” program. In 2009, Emma founded Autodesk’s Sustainable Design Living Lab program, which uses Autodesk facilities as a testing ground for new software to rapidly green existing buildings. In 2008, she founded its Sustainable Operations program, which was named best-in-class by the Carbon Disclosure Project. She co-developed Autodesk’s C-FACT methodology (a Corporate Finance Approach to Climate-stabilizing Targets), an open-source, science-driven, business-friendly approach to greenhouse gas target-setting, which was named #1 of public company targets by Climate Counts. Prior to Autodesk, she founded and directed the Environmental R&D Division at Business for Social Responsibility, where her team designed corporate initiatives to analyze and adapt to horizon issues such as payments for ecosystem services, water footprinting, carbon offsets and trading, voluntary supply chain standards, and sustainable product design. Emma has been a regularly featured columnist for Harvard Business Online, Environmental Leader, and GreenBiz and her work has been featured in the Wall Street Journal, The New York Times, Financial Times, The Guardian, Fortune, Forbes, Chicago Tribune, The International Herald Tribune, The Huffington Post, Inside Washington, Environmental Finance, Environmental Law Journal, and Sustainable Industries, among others. She is a contributing author to a number of books: Corporate Responses to Climate Change, The Encyclopedia of Sustainable Business, and Carbon Trading. 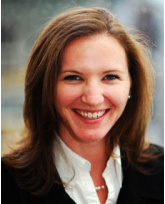 Emma has been named a Next Generation Fellow by Columbia University (2007), a Cabinet Member of the World Economic Forum’s Low Carbon Taskforce (2008), a Judge for the Clean Tech Open (2009), and a First Mover Fellow by The Aspen Institute (2010). She has lectured at dozens of universities and Fortune1000 companies, and has been an invited speaker at the National Press Club in DC, the UN Conference of the Parties, the World Conservation Congress, Greenbuild, and Ecobuild. She holds a Ph.D. in Environmental Science and Management from Stanford University and a B.A. Honours degree in Human Sciences from Oxford University.